Ekāgratā (Sanskrit: एकाग्रता, "one-pointedness") is intent pursuit of one object, close and undisturbed attention. Yoga emphasises regular practice (Abhyasa) meditation and self-imposed discipline to acquire ekagrata. The faculty called Ekāgratā may be increased by integrating the psycho-mental flux (sarvārthatā or variously-directed, discontinuous, and diffuse attention) so that one gains genuine will and a happiness different from the experience of pleasure from sense-objects. It is harder to achieve if the body is in a tiring or uncomfortable posture or if the breathing is improper. Badarayana's Brahma Sutras (chapter 3) uses the term to mean concentration: it is held to be a quality resulting from practices discussed in the previous chapter,which are briefly mentioned in the Brihadaranyaka Upanishad and Chandogya Upanishad. According to the Bhagavad Gita the seeker after Truth should meditate with his mind fixed on the Lord (machchittāh) and absorbed in Him (matparāh). This is ekagrata. The term nityayuktāh refers to devotees who keep their mind fixed on God uninterruptedly. intentness on a single point (ekagrata) of the thinking principle (citta) gives rise to equilibrium of placid states (previously accumulated impressions) and aroused states (present eagerness to gain more knowledge), which are modifications (of the mind). These two states of mind remain unchanged and are brought to the state of stillness. Ekagrata and dharana do not differ from each other, or else dharana is achieving and maintaining ekagrata. Dharana converges on a particular concept or object. In the state of ekagrata there is clarity and right direction: yoga begins with ekagrata and culminates in nirodha, a consciousness free of movement. Dharana gives the ability to see one’s own mind, one starts looking inwards deeply. If ekagrata is lost the full power of intention to achieve goals to be achieved is lost. Intentions afflicted by doubts, fears and reactive thoughts break and diffuse the energy of intentions. The mind which is the cause of Sankalpa ('notion')-Vikalpa ('alternative') must be controlled, it must be bound. Ekagrata assists in keeping one’s own mind bound and still. ↑ Mercia Eliade. From Medicine Men to Muhammad. Harper and Row. p. 73. ↑ The Sivananda companion to Meditation. Sivananda Yoga Center. p. 58. ↑ W.Jane Boncroft. Suggestopedia and Language. Routledge. p. 136. ↑ Ravinder Kumar Soni. The Illumination of Knowledge. GBD Books. p. 146. ↑ Sankaracarya. Brahma Sutra Bhasya. Advaita Ashrama. pp. 812–833. ↑ Jayadayal Goyandaka. 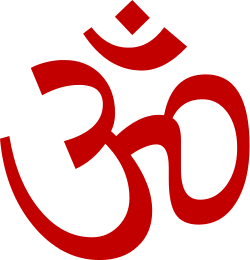 Srimadbhagavadagita Tattvavivecani. Gita Press, Gorakhpur. p. 400. ↑ Vinod Verma. The Yoga Sutras of Patanjali: A Scientific Exposition. Clarion Books. p. 116. ↑ Georg Feuerstein. The Philosophy of Classical Yoga. Inner Traditions. p. 84. ↑ T.K.V.Desikachar. Religiousness in Yoga. University Press of America. p. 228,251. ↑ Vinod Verma. Yoga: ANatural Way of Being. Gayatri Books. p. 120,. ↑ Tobin Hart. The Secret Spiritual World of Children. New World Library. p. 195.